A completely new approach to motorcycling, a new way to ride a bike. This is the Mana 850, the bike that has taken the world by storm, the result of Aprilia's futuristic technological competence and our courage to believe in innovation. Sequential/automatic transmission, radial brake calipers, helmet compartment, upside down forks. 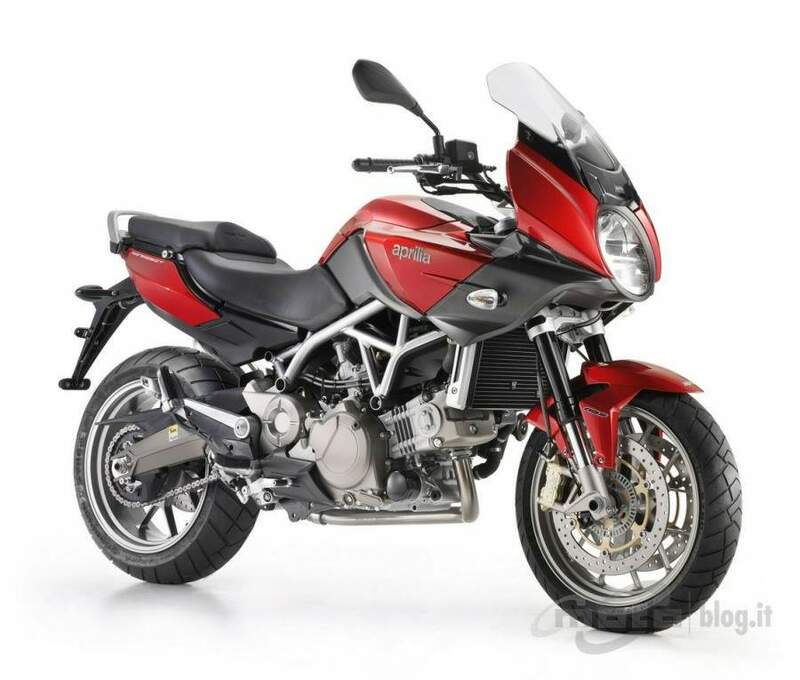 The Aprilia Mana combines the best of the biking world, also that of the sports bike, with a matchless functional character. A real one-of-a-kind in the motorcycling world, which couldn't remain the only one of its kind for long. 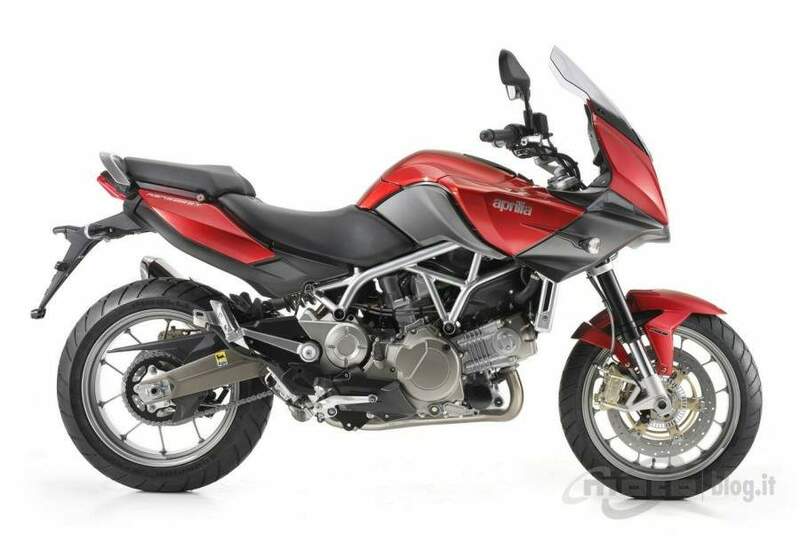 Aprilia is proud to announce the launch of the Mana 850 GT, a bike that increases the range of use of the versatile Aprilia Mana. The Mana 850 GT follows the evolution of a market which becomes more and more demanding by the minute, with new requirements in terms of mobility dictating the need for means of transport able to meet these requirements, and also make daily use and long trips as pleasurable as possible. The Mana 850 GT is designed to do just this: with an elegant half-fairing perfectly integrated in the lines of the bike to protect the rider and passenger on long journeys making the bike ideal for tourism. The adjustable windshield lets you adjust the level of protection to suit your own particular needs.
" latest generation two channel ABS system. Thanks to these characteristics, the Mana 850 GT is the most functional and complete bike on the market. 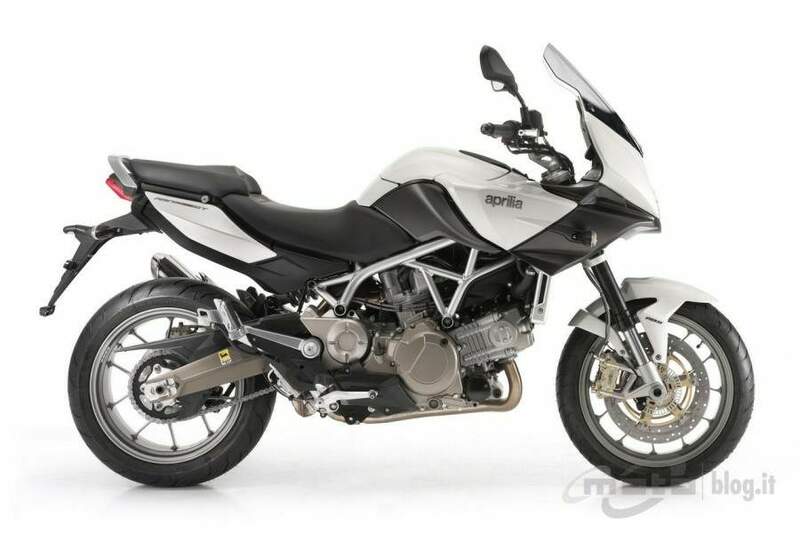 The half-fairing, in fact, makes the Mana 850 GT unique, and lets you get the very best out of the dynamic qualities of the V2 850 engine with Sportgear transmission. A two-cylinder engine producing 76 HP with a very flat torque curve giving you excellent performance both in acceleration and at speed, the perfect match for the on-the-road tourism soul of the Mana 850 GT. A bike that offers infinite possibilities, at the press of a button on the handlebars the rider can change from the sequential mode (seven gears controlled from the handlebars or using the gear change pedal) to autodrive mode. In this way, the Mana 850 GT adapts perfectly to any type of route and riding style of the owner, whether this is relaxed cruising or high-performance road racing. What's more the Rain mapping, with an extremely smooth power delivery, provides excellent assistance on wet and slippery roads. The Mana 850 GT has the same technical base as the Mana as well as the practical lit helmet compartment in place of the traditional fuel tank. This solution is possible thanks to the under-seat fuel tank which, as well as lowering the centre of gravity, improving the handling, offers a spacious compartment where a traditional fuel tank normally goes. Only the Mana comes with this sort of storage capacity. 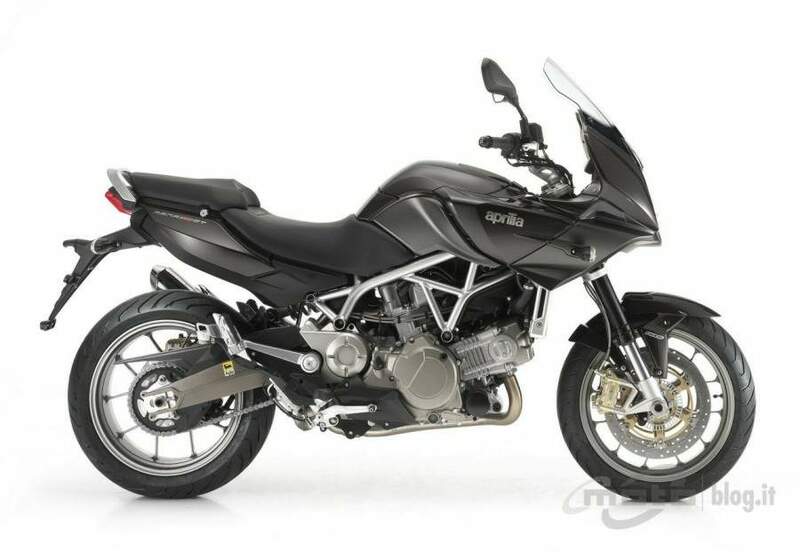 The sophisticated chassis of the Aprilia Mana 850 GT makes the handling safe and relaxing on any road surface. The robust steel tube trellis frame has a single piece aluminium swingarm damped directly by a monoshock, which can be adjusted both in preload and extension. The spring preload on the Mana 850 GT can be adjusted with an external knob, perfect for precise quick-and-easy adjustments to adapt to your own particular riding style and bike's load. The 43 mm upside down fork has a superb sliding action and the suspension setup is optimized for the new weight distribution, ideal also for sports handling. A wheel travel of 120 mm lets you tackle any type of road without worries. The most versatile bike on the market with the most complete range of technical equipment.